Education Session. 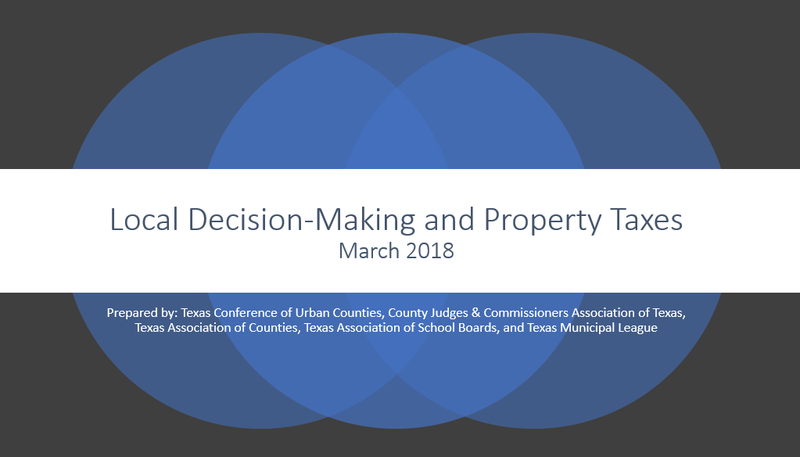 County Judges may also obtain up to 16 hours of credit (non-judicial) toward Commissioners Court Advanced Curriculum by attending designated sessions. Commissioners Court Advanced Curriculum Completion Certificates will be awarded during Thursday’s closing luncheon. The conference educational co-sponsor is the V.G. Young Institute of County Government, a part of the Texas A&M AgriLife Extension Service. Educational sessions will be complemented by an array of social activities including the President’s Party and Exhibitor Appreciation Night, Host Court Night, and our popular tournaments, along with a slate of spouses’ activities, all designed to help you network and reconnect with your peers from across the state while forging new friendships. The most convenient way to register for the conference is online at: www.county.org/member-services/educationand- training/calendar/Pages/2018-CJCA/Registration.aspx. You will receive a confirmation notification and invoice within 7 to 10 business days. You may also download the registration form at www.countyprogress.com and fax to 512-477-1324. The theme of the 94th Annual County Judges and Commissioners Association of Texas Conference could not have come at a more important time considering the upcoming legislative session. 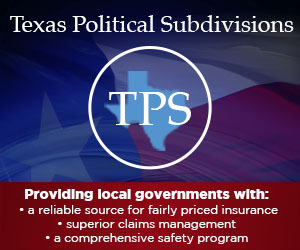 In fact, the opening day of the Oct. 10-13 conference saw members of the Texas Legislature issuing words of caution to some 200 officials gathered in Galveston County’s Moody Gardens. This is where “County Strong” comes in. 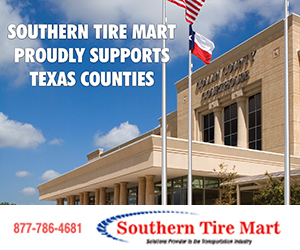 While no one denies the diversity of the Lone Star State, members of Texas County Commissioners Courts face common challenges, several of which have the potential to impact every budget in every county including appraisal caps and revenue caps. In the months leading up to the 85th Legislature, a third issue has been deemed crucial – the burgeoning costs of indigent defense. County Judges and County Commissioners tag-teamed one another, accompanying CJCAT officers and general counsel Jim Allison to the Capitol to present a united message. Facing cut after cut, local elected officials showed up both literally and figuratively, sending emails and faxes, making phone calls, and putting in personal appearances to safeguard their county, their community, and their taxpayers. When the 85th Session of the Texas Legislature adjourns, officials are hoping for the same thing. As part of the necessary prep work, the CJCAT leadership team is being proactive and asking counties to consider the local passage of resolutions addressing the trio of issues: unfunded mandates, appraisal and revenue caps and indigent defense. The Association passed a total of 23 resolutions, listed on pages 29-34 of this issue; unfunded mandates, appraisal and revenue caps and indigent defense are numbers 4, 5 and 8, respectively. Once again, it’s a matter of strength in numbers: 254 Texas Counties, 31 State Senators, 150 State Representatives. Every Senator and Representative receives a copy of the State Association Resolutions, Allison confirmed. If every Texas county also passes local resolutions and sends them to their lawmakers, the message is that much stronger. This year’s Association conference offered 17 hours of continuing education credit for County Commissioners and four hours of judicial education for County Judges, with topics spanning key issues from juvenile law, records management, public information act requests and leadership to working with the Legislature, road workplace safety and personnel policy. The program included Commissioners Court Advanced Curriculum modules, allowing for dozens of officials to work toward or achieve their Advanced Curriculum Certification (see page 24). In 2014, the CJCAT, in partnership with the Texas A&M AgriLife Extension’s V.G. Young Institute of County Government, launched the County Improvement Project, a fellowship program meant to stimulate ideas and encourage thoughtful answers to shared challenges. The 2014 Fellowship was awarded to Dr. Morgan Russell, assistant professor of Rangeland Ecology with Texas A&M AgriLife Extension Service at the Research and Extension Center in San Angelo. Russell’s presentation, titled “Texas Fire Exchange,” focused on wildfires and prescribed burns. The 2015 Fellowship went to Mike Yawn, who opened this year’s conference with his presentation “Developing a Social Media Program for Local Government: What You Need to Know” (see opposite page). While the mission of the conference was educational, a variety of other special events allowed participants and guests to discuss common issues and forge friendships among their peers from across the state. Host Court Night took place in the Moody Gardens Rainforest Pyramids where participants enjoyed a delicious buffet and took in 3D and 4D Theater features. The Spouses’ Program offered a culinary adventure topped by poolside relaxation. Golfers enjoyed beautiful weather during the Bobby Smith Memorial Golf Tournament, and fishermen reeled in some hefty catches while out on the Gulf. Friendly rivalry was in full swing at the shuffleboard showdown and traditional domino tournament. The conference closed with the Installation Banquet, where the membership applauded outgoing President Grover “Tiger” Worsham, Trinity County Commissioner, for his years of dedication and service and welcomed incoming President Woodrow W. “Woody” Gossom Jr., Wichita County Judge. The 95th Annual County Judges and Commissioners Association of Texas Conference will take place Sept. 25-28, 2017, in Corpus Christi-Nueces County. Please see the County Progress Conference Calendar on page 61 for additional details. Editor’s Note: Many of the State Conference presentations are available at http://www.county.org/member-services/education-and-training/presentations/Pages/2016-CJCA.aspx.